The act of throwing a beer bottle across the room and into a wall is generally quick and violent. But with the use of a custom-built mechanism and over a year of careful observation, Jonathan Schipper turned that short-lived violent act into poetry. 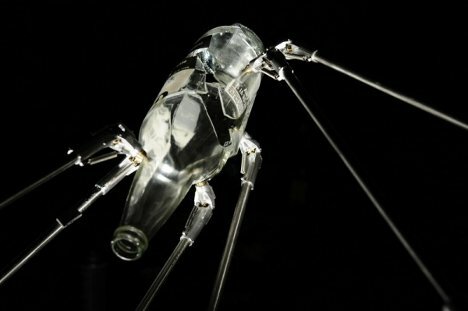 Over the course of twelve minutes, the robotic mechanism takes the hurling bottle from one end of the room to the other. When it reaches the wall, the bottle shatters – and immediately reverses its trajectory. The pieces go back together and the bottle returns to its place of origin. 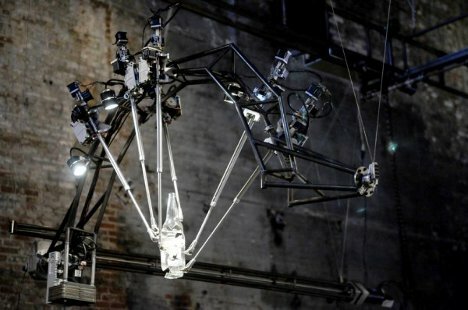 The unusual art project is half robot and half kinetic sculpture. While exploring the nature of motion and force, it shines a light on the unexpected art and beauty that can exist in the most unexpected places. See more in Art of Tech or under Technology. December, 2011.